In December 1969 Dad’s Army was riding high with the 3rd series taking it from the tentative steps of the first two series and establishing it as a firm favourite with viewers. Just before Christmas that year the episode Sons of the Sea was broadcast, less than a week after it was filmed. 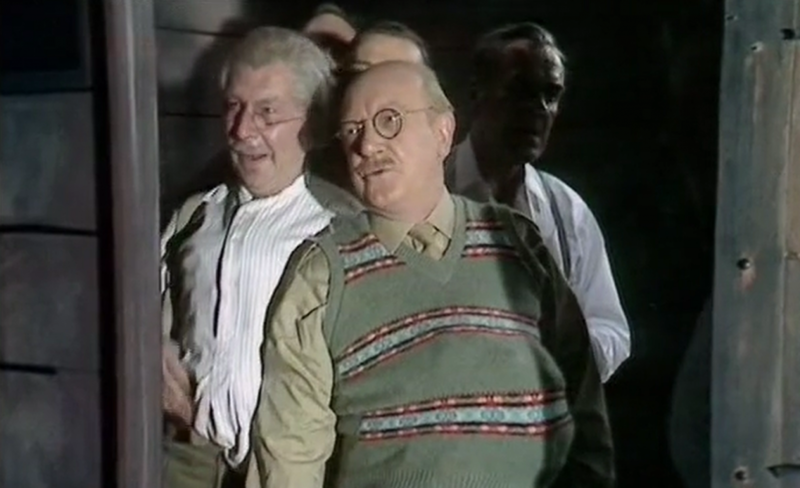 Here is an episode that epitomises the classic Dad’s Army format. The platoon is thrown into a perilous situation due to a touch of incompetence. Trapped together (first in a rowing boat, later on a train) they bring out the best and worst in each other until a miraculous escape ensues. I could have chosen so many clips from this episode but I have selected the final moment when the platoon face what seems like certain capture by the Germans until a bemused traveller at Eastbourne station becomes their unwitting saviour. This entry was posted in blog on July 12, 2018 by wolAdmin.